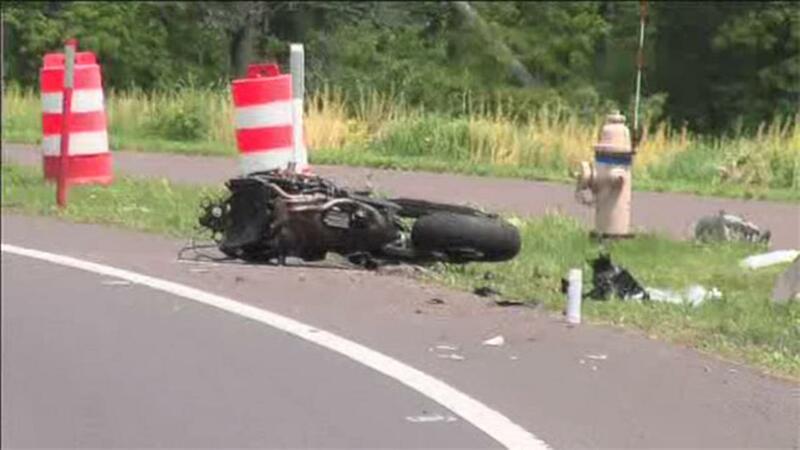 By nature, motorcycle accidents tend to involve more serious injuries and longer recoveries than regular car accidents. If you've been hurt in a motorcycle accident, you'll likely need money to cover the cost of your ambulance ride, your hospital stay, medication, physical therapy, surgery, missed work days and motorcycle repairs. Board Certified Attorney Mark Anderson and the Anderson Law Firm team are experienced, knowledgeable and dedicated to earning motorcycle accident victims the money they deserve after their accident. Attorney Mark Anderson has been handling motorcycle accident cases in Texas for over 20 years. The Anderson Law Firm stands out as a trusted source for Dallas-Fort Worth motorcycle accident victims for a few key reasons. We specialize in personal injury, meaning we're skilled in handling cases just like yours. We're fully staffed, which allows us to give each and every client the care and attention they deserve. We're not an "accident mill." We give each case the time and attention it deserves. We don't charge anything upfront, and nothing at all until we win your case. If you've been hurt as a rider in Texas, there's a lot at stake. You've got medical bills piling up, you're missing work due to your injuries, and perhaps your own insurance isn't enough to cover your damages. We know that recovering from an accident isn't easy, but you don't have to do it alone. What happens if my motorcycle is a "total loss?" How do I get my police report? Here at the Anderson Law Firm, we have two main goals: to get you the medical care you need to fully recover from your injuries, and then to win you money to pay for those medical bills, fix your motorcycle, and compensate you for lost wages, pain and suffering. No win, no fee. If we don't win you everything you deserve, you don't pay us a dime. Free consultation, including legal advice in regards to your personal situation. Our job is to use our legal expertise in personal injury accident law to protect your interests. Though filing an insurance claim may seem straightforward, most clients come to us after having tried (and failed) to successfully negotiate with the insurance company. Insurance adjusters are in the business of making money, and that means paying you as little as possible. Insurance companies use sneaky tactics like avoiding your calls and cajoling your into signing a release (don't!). They aren't on your side - but we will be. We're experts on Texas motorcycle law, and we use that expertise to fight the insurance companies for every last penny on your behalf. Attorney Mark Anderson has a record of success. Attorney Mark Anderson understands that hiring a lawyer isn't right for everyone. If your injuries are minor, you might choose to "go it alone." However, you shouldn't enter negotiations with the insurance company unarmed. We encourage you to order a free copy of Mark's book, Roadmap to Winning Your Texas Motorcycle Accident Claim. In it, you'll find everything you need to know about making a claim after a Texas motorcycle wreck. We have offices located in Fort Worth, Dallas, Keller and Arlington. However, we handle motorcycle crash cases all across Texas. If you are unable to drive, we will also gladly come to you. If you or someone you love was injured while riding a motorcycle in Fort Worth, call us or contact us online for your free consultation and case review.